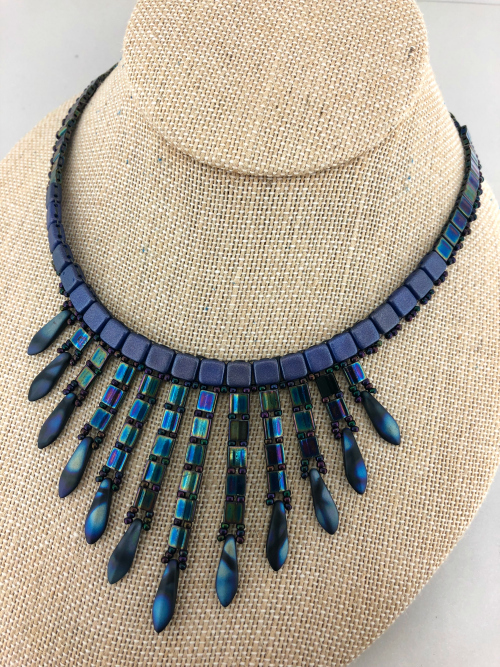 What a stunning necklace! 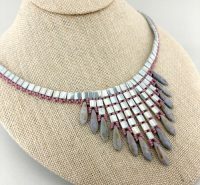 Join us in class to make a beautiful Cleopatra inspired collar. The color combinations are almost endless. You can enhance any outfit with this necklace. You will receive a copy of the instructions with your class fee.